Arguably the biggest consumer market in the world, China is a goldmine for any consumer-oriented business. With a population of over a billion and a somewhat balanced age demographic, your products and services have found a home. As rosy as the above picture might seem, if the market is not properly exploited, your business might not benefit from its staggering potentials. A large part of ensuring that isn’t the case is to understand the Chinese customer and how to win their trust. In comparison with western cultures, the Chinese are different in every sense of the word. The social structure and general cultural differences set China apart from western countries. As a Chinese customer service representative, arming yourself with Chinese cultural etiquette and social norms can make all the difference between retaining and losing customers. This post explores the things you need to keep in mind while establishing your Chinese Call Centre. Considered by many to be a difficult language to master, learning mandarin can be discouraging. However, this language is spoken by more than 70% of the Chinese population. Business suddenly becomes difficult when you can’t speak the language; hence offering call centre service in Chinese is not a choice but is an indispensable need. A Chinese Call Center representative must first cross the language Rubicon. Failure to do so automatically translates to lack of entry. There is also a psychological reason to learn the language. The customer is immediately disposed to speaking with you if he finds that your Chinese Call Centre agents are fluent in Mandarin or Cantonese. Social hierarchies are heightened in China. Everyone identifies with a specific social class and wants to be accorded the corresponding respect. To do otherwise might birth a hostile conversation for the Chinese call center agent. Laying a proper foundation for your job as a Chinese customer service agent requires that you take time to understand the social hierarchical structures in China. This should be done before picking up the phone. From your initial research, you would find that Chinese men like to be addressed by their titles first followed by their surname. This is however not a rule cut in stone as you can refer to a customer as “Mr” or “Mrs” If you don’t know the appropriate title. In China, it would be considered rude to dive straight into the core of the conversation. Doing so creates an adversarial impression with the customer. To douse the tension, Chinese Call Centre agents should begin the conversation with pleasantries such as “how are you” or “where have you been”. This would invariably set the tone for a healthy conversation. However, the Chinese call center representative has to be careful about topics to discuss. Breaking the ice with subjects such as the political climate might not give such a soft landing. In the alternative, talk about casual topics such as the weather, food and the scenery. This rule might not come in handy when dishing out good news to the customer but it is important when the news is bad. The Chinese find it impolite to give negative responses in a direct manner. The better approach is to be democratic with the news. Delivering world-class Call Centre Service in Chinese dictates that you say “no” as little as possible. Instead, provide an alternative solution to the customer’s problem. The Chinese are extremely detailed in the way and manner they handle their affairs. Before speaking to a Chinese customer, he probably has a decent idea about the business you’re trying to sell. Hence, he would have a lot of questions to ask. As a Chinese Call Center agent, you must be equally prepared to answer the customer’s question. Failure to do sure gives the impression that you shouldn’t be taken seriously. Similarly, you should be punctual for every call. In western cultures, trust is easy until evidence dictates otherwise. Thus, as soon as the customer care representative picks up the phone, he immediately finds receptive ears. The Chinese are not so easy to persuade. They are generally skeptical of a stranger’s intentions so it might be an uphill to persuade the customer. To win the customer’s trust, the Chinese customer service agent must slowly build up trust. The conversation should commence with pleasantries. Then, the customer should be provided with genuine fact and details to build credibility before trying to seal the deal. This is especially important when trying to sell a product to the customer. 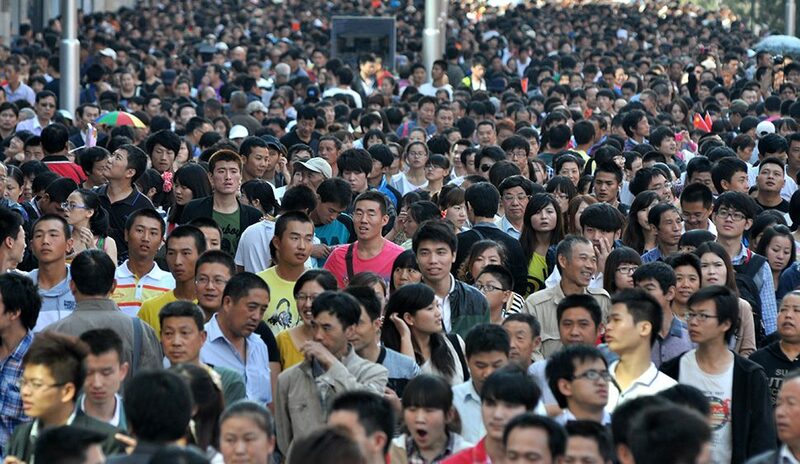 While holidays in a western country can last between 1 to 3 days, Chinese holidays run for longer. They are elaborately planned and are considered serious business. Consequently, it would be considered rude to discuss product and services during these occasions, something Chinese Customer Service agents should always keep in mind. From what has been said so far, you might have guessed that quick fixes are unlikely in rendering call center services in China. Don’t be in a hurry to end the conversation. Take your time to warm up to the customer. Where a hint of impatience is perceived it might be considered rude. Additionally, knowing the holidays helps you kick start the conversation on a playful note. At LiveSalesman, we have been delivering Chinese Call Centre services in both Mandarin and Cantonese for over 8 years. Given our extensive experience in interacting with Chinese Customers, we are rightly positioned to give your business the right boost through impeccable Chinese customer service delivery. All our Chinese Customer Service agents are native Chinese. If you are looking to outsource your Chinese Call Centre and Customer Support, talk to us today. Apart from Chinese, our Multilingual Call Centre Services include Arabic Call Centre Support, Japanese Call Centre Support and Korean Call Centre support amongst 30 other European and Asian languages.